Eduardo Galeano is, to my mind, the very best kind of writer. Defying categories, playing with media, voice and form, he is a journalist, novelist and poet. For me he is also, strangely enough, one of the clearest routes that brought me to public history. I found The Book of Embraces on the bookshelf at a friend's house almost 20 years ago. I asked if I could borrow it and he said it wasn't his cup of tea, "Keep it." Soon after, another friend saw it on my bookshelf and asked if he could borrow it. Off it went, just a few short weeks after it had arrived. I still have that copy. In it, my friend had inscribed: "I loved this book so much, I don't really want to part with it. Still, I don't want to hang onto it a second longer when you've not yet read it." I am devoted to this book, to the first Galeano I read. A few months ago, I wanted to give a graduating senior a present; we decided on books that changed us. I chose The Book of Embraces. Composed of short vignettes & illustrated magnificently and magically, the book is filled with ways of approaching the world that I seem to have internalized -- revisiting it, it came as a surprise that some of my most deeply held beliefs about stories, ideas, history and memory reflect Galeano and his insistence on the power of reclaiming the past from all kinds of things --- simplification, ossification, stark categories and clear boundaries, erasure, amnesia. Galeano is best known for his trilogy that chronicles the history of Latin America, Memory of Fire. I've been teaching the first book of the series, Genesis, in my world history classes. In a Guardian interview about his most recent book, Children of the Days, Galeano resists historical amnesia that belittles human experience and erases the complexities of our lives, an amnesia perpetrated by powerful interests. "It's a system of power that is always deciding in the name of humanity who deserves to be remembered and who deserves to be forgotten … We are much more than we are told. We are much more beautiful." 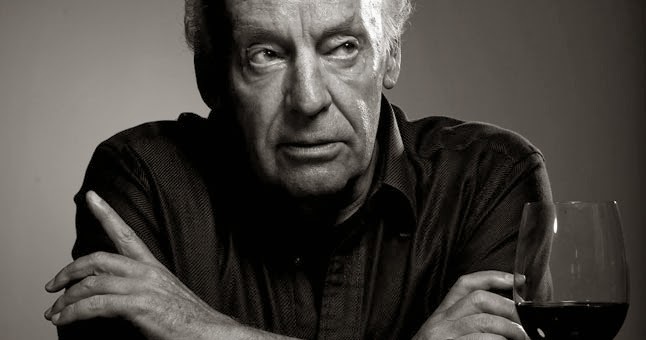 There is an ethics of memory, and also an ethos of memory in all of Galeano's work. There is an insistence on understanding memory as fractured, creative, pulling us towards and away from the past at the same time. Most important, his work illuminates the power of memory as an integral part of a larger process and project -- and in this context, it has to be useful and constructive to thrive. It is one that serves as the true north of my own intellectual compass and whispers to me when I try to remember why I do what I do and why it matters. In my book Days and Nights of Love and War, I’ve asked myself whether our memories will allow us to be happy. I still have no answer. There’s a North American novel in which a great-grandfather meets his great-grandson. The old man remembers nothing because he’s lost his memory. He’s senile. His thoughts are as colourless as water. The grandson doesn’t have any memories because he’s too young. As I read the novel, I thought: “This is bliss." But this is not the happiness I’m after. I want happiness that comes from both remembering and from fighting against remembering. A happiness that includes the sadness, pain and injury of experience but also goes forward. Not memory that works like an anchor, but like a catapult. Not a memory that you just arrive at, but one that’s a launch pad. There’s an American indigenous tradition found in the islands of the Pacific, in Canada and also places like Chiapas, in Mexico. It goes like this: when a master potter gives up his trade because his hands are no longer steady and his eyesight is failing, there’s a ceremony at which he presents his best pot, his masterpiece, to a young potter just starting out. The apprentice takes the flawless pot and smashes it into a thousand pieces on the ground. He then picks them up and mixes them into his own stock of clay. That’s the kind of memory I believe in. If you haven't read Galeano, do yourself a favor and go find something he's written.